VIP-12S-200, Subwoofer from Grund Audio in the VIP series. Grund Audio Design announces the debut of the new VIP Series loudspeakers. It features 4 models—three of which are 3-way loudspeaker designs. The new VIP series loudspeakers consist of the VIP-06, VIP-08, VIP-10, and VIP-12 models. 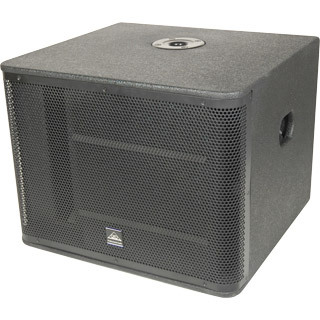 These loudspeakers are passive designs (requiring external amplification) with high power capabilities and utilize injection molded enclosures. As the smallest enclosure of the family, the VIP-06 is a 2-way design that utilizes a 1-inch HF dome tweeter coupled with 6.5-inch cone LF transducer. The VIP-06 provides a 68 Hz – 20 kHz frequency range. The Grund Audio Design VIP-08, VIP-10, and VIP-12 loudspeakers are all 3-way designs. The midrange transducer in each of the three models features a 5-inch cone with a 1-inch coil in a quasi-horn loaded design. These three models feature 1-inch HF dome tweeters. For low frequency reproduction, the VIP-08 uses an 8-inch cone transducer, the VIP-10 employs a 10-inch cone transducer, and the VIP-12 incorporates a 12-inch cone transducer. The frequency range for the VIP-08, VIP-10, and VIP-12 is, respectively, 45 Hz - 18 kHz, 40 Hz - 18 kHz, and 38 Hz - 18 kHz. AV integrators will appreciate the four M6 integrated flypoints offered by the new VIP series loudspeakers. Additionally, Grund Audio Design has an optionally available wall mount bracket. To protect the transducer complement, the VIP series incorporate steel, powder-coated grilles. The VIP-06, VIP-08, and VIP-10 loudspeakers are available in both black and white while the VIP-12 is available in black. Further, the name badges on the front of the enclosures rotate for vertical or horizontal positioning. All models are available in mirror imaged pairs for superior stereo reproduction. MSRP for the optionally available model 75-408 wall mount bracket for the VIP-06 is $35.00. MSRP for the optionally available model 75-410 wall mount bracket for the VIP-08, VIP-10, and VIP-12 is $49.00. 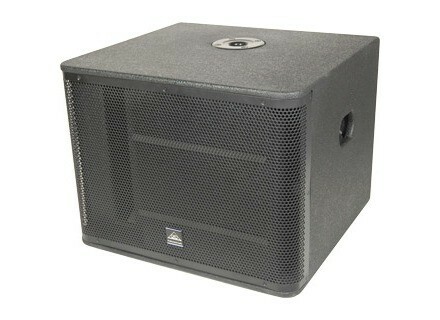 Visit the company at www.GrundAudio.com for more details. Roland Mobile AC & Mobile BA Amps Roland recently introduced its new Mobile AC acoustic amp and Mobile BA battery-powered stereo amp.